A Russian defense firm that produces the brand-new Armata T-14 tank also plans to build an army of new combat robots within the next two years. This would be a next step towards machines guided by artificial intelligence, the manufacturer says. Uralvagonzavod, the company that introduced the ‘super tank’ Armata T-14 back in May, is now trying to step away from piloted military technologies and is eager to develop artificial intelligence. "We will be able to show prototypes in 1.5 to 2 years. We are gradually moving away from crewed machines," Vyacheslav Khalitov, the company’s deputy director general, said Tuesday. As an example, he noted that the Armata now requires three crew members. “Then it will be two and then without them at all,” Khalitov said. The trends in robotic engineering worldwide are about the same, he said. It all starts off with remote control technologies and, after that, artificial intelligence might be introduced. Uralvagonzavod is following the same pattern. Khalitov reassured that it’s too early to be afraid of the war of the machines since the whole idea will be under development for decades to come. However, the experience promises to be transformative for the industry, he said. The T-14 tank is based on an Armata armored platform and capable of dealing with any challenges posed by the 21st century. The Russian military marvel was presented by the Defense Ministry at the May 9 Victory Day parade in Moscow. The tank has attracted a number of “serious potential buyers from Arab countries," Russian Deputy Prime Minister Dmitry Rogozin said. With an armored capsule for the three-man crew, the tank is notable for having an unmanned turret equipped with fully remotely controlled 125mm smoothbore cannon and 7.62mm machine gun. 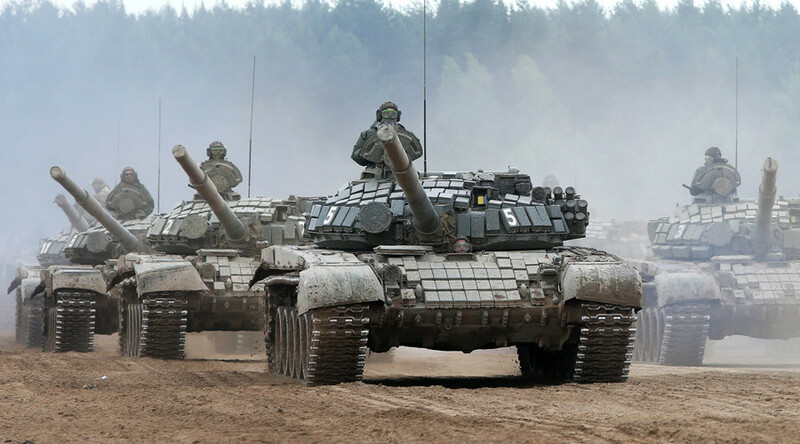 Earlier, Uralvagonzavod revealed its plans to make a remote-controlled tank in the near future. The news was welcomed by Rogozin, who joked that the military would soon need people experienced in the computer game ‘World of Tanks’. “We need no tankers now, we need World of Tanks players,” Rogozin tweeted.